Who among us hasn’t heard or seen a performer who so affected us that we feel we could listen to them read the phone book? Mark Kozelek’s career, as a solo artist and with both Red House Painters and Sun Kil Moon, hasn’t necessarily hinted that he can be so soothing. Yet on Sun Kil Moon’s sixth album, Kozelek’s delivery and especially his songwriting suggest the most downtrodden folk Yellow Pages ever. Benji is a midlife crisis of an album, full of beautifully recounted instances, circumstances, and dreams often coming in pairs, ganging up on your heartstrings and yanking them harder than you might normally tolerate. The title is shared with the great lost-dog movie of 1974, which Kozelek recently told Pitchfork he had a fond memory of watching. Cinema also inspires the slowly descending “I Watched the Film ‘The Song Remains the Same,’” where the Led Zeppelin concert movie is the catalyst for Kozelek’s life flashing before his eyes. Two songs recount the aftermath of death by exploding aerosol can; “Truck Driver” is more matter-of-fact, while album opener “Carissa” is devastating in its reportage. His parents share flip sides of the same coin, as do current events involving crime and catastrophe, as do significant friends (Dad’s buddy on house arrest in “Jim Wise,” Death Cab for Cutie/The Postal Service frontman Ben Gibbard on song-of-the-year candidate “Ben’s My Friend”). In someone else’s hands, some of Kozelek’s intimate details might be mistaken for irony — you could certainly picture They Might be Giants or Beck making something like “I Love My Dad” into a far more peppy affair. And there are a few moments where his atmospheres feel heavy-handed: “Dogs” includes a blunt rundown of Kozelek’s sexual history, including grade-school stolen kisses and other misadventures, while “Prayer for Newtown” is an over-earnest protest song that could use some metaphor or other poetic license. Kozelek’s instrumental restraint remains dramatic, melancholic, even angry, but here it also seems strangely meditative and welcoming. His midtempo arpeggios herald Steve Shelley’s soft drum hits; brief saxophone passages get spun into plaintive choral parts with the likes of Will Oldham. 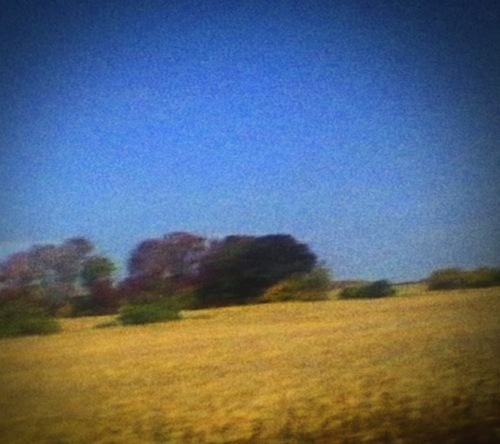 Sun Kil Moon imply they are watching time pass behind Morphine’s same dark glasses, and measuring happiness as Counting Crows’ August and Everything After once did. Benji is both imperfect and skillfully constructed, a regularly gorgeous look at what makes an aging indie-rocker tick.